If you have never been to Triple Lakes then you don’t know what you are missing. 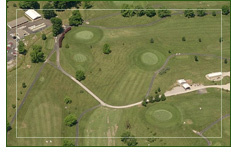 Every hole boasts scenic views of spacious, rolling fairways and is intertwined with the beautiful natural landscapes Triple Lakes has to offer. 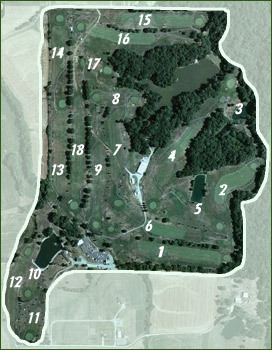 To start just click on the hole number you’d like to view and you’ll be able to see the hole information, hole description, aerial view, and a four picture slideshow of the most important parts of each hole. U.S.G.A Rules shall govern all play, except as modified by local rules as listed. Please repair all ball marks and replace divots! Yardage markers are to the center of the green. Scorecard yardage is correct as of October 2007.